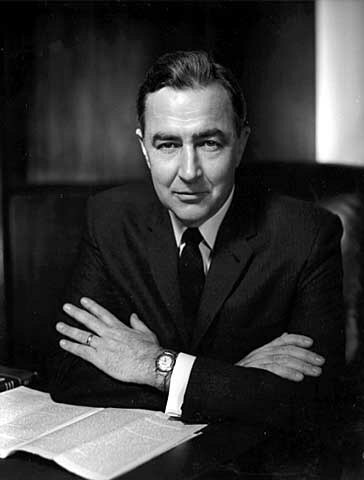 Eugene McCarthy (March 29, 1916—December 10, 2005) served in the U.S. House of Representatives from 1949 to 1959 and the U.S. Senate from 1959 to 1971, as a Democrat representing Minnesota. He ran for US President five times. McCarthy is the author of numerous nonfiction books, including a memoir, and five books of poems.